Human beings have a long, and in many cases, a complicated relationship with alcohol. Consuming alcohol moderately may have some health benefits, for example red wine contains enzymes which may benefit the heart. However, it has been shown that drinking too much alcohol can have serious health implications. Alcohol has become a symbolic part of toasting special occasions, or having a few drinks while socialising, and also forms a part of celebrating certain events which are be notable. Whenever you consume alcohol, whether it be in moderation or not, the same thing happens to your body. As soon as alcohol enters your system, it immediately generates physical changes in the brain, heart and liver, among other organs. As time goes by, if you are drinking too much, these negative body changes may lead to long-term, life-threatening health conditions. · The alcohol content in alcoholic drinks is actually ethanol, which is the only type of alcohol you can drink without risking your life. · Alcohol is a depressant and slows down the activity in the brain, including your reflexes. 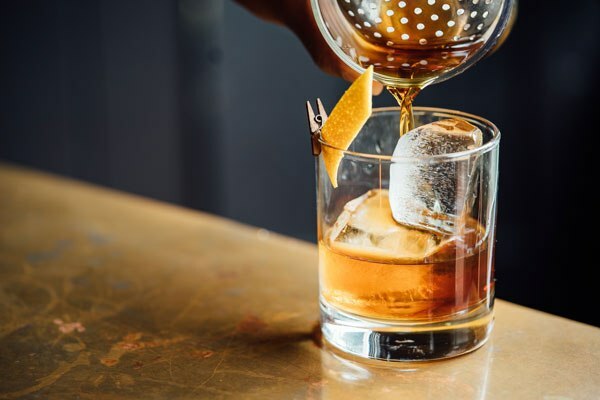 · Alcohol is the most commonly misused addictive substance in the world, and studies have shown that globally 1 in 10 adults will become addicted to alcohol. · Enzymes in the liver help to break down ethanol into acetate – which is an alcohol-based energy source. This gets you addicted to a bogus form of energy, which causes serious withdrawal symptoms for anyone who wants to stop using alcohol. · Alcohol is a massive risk factor for dementia. · A hangover is caused by the toxic by-products which remain in the liver after processing the alcohol. The more you drink, the more toxins remain as the liver has more work to do. Research in the US has determined that alcohol-related deaths are rated 3 in America, as one of the most preventable causes of death. Many people drink alcohol on a regular basis, and most have no problem setting a limit to the amount they drink. However, since the very ancient of days, folk have struggled to understand and cope with the power of alcohol. There is a newer method of treatment that is fast gaining recognition of being very successful - which is that of hypnotherapy. It is very cost-effective and provides lasting protection against addiction problems. This form of therapy works in two ways. It relaxes the conscious mind, and allows the subconscious mind to become more focussed. The therapist uses a series of relaxation techniques to help a person reach the required relaxed state. These techniques make it easier to access the subconscious mind and uncover the root cause for the addiction. Hypnotherapy utilizes the power of positive suggestions to engender subconscious change to your thoughts, feelings and behavioural patterns. Alcoholism falls under the umbrella of drug abuse, and unfortunately many folk battling with alcohol abuse, do not see it that way. The denial can go on for many years, until one’s health is almost completely ruined. Hypnotherapy can help you accept that your alcohol habits may qualify as abuse, and not just average and social use. You will also learn the aspects of your life which are causing you to self-sabotage your health, and which may also be causing damage to relationships and family life. You will be motivated to make the changes necessary, and encouraged to see the use of alcohol in a totally new light. To overcome the scourge of alcoholism, and to put and to an end to sabotaging your life, hypnotherapy combined with other therapy techniques, is an excellent way to go. A good support system will also be a great help in your efforts to achieve a successful, lasting rehabilitation from alcoholism.